Carolyn S. Gentle-Genitty joined the IU Academic Affairs team July 1, 2017 as Assistant Vice President for University Academic Affairs and Director of the University Transfer Office, after 12 years on her home campus of IUPUI. On the IUPUI campus Gentle-Genitty engaged in over a decade of leadership resulting in her being named one of IUPUI's next generation of leaders, 2.0 cohort, IUPUI's first Online Education Faculty Fellow through the IUPUI Office of Academic Affairs, under direct leadership of Senior Associate Vice Chancellor Margie Ferguson and Executive Vice Chancellor and Chief Academic Officer Kathy Johnson. She was also named the Joseph T Taylor Diversity Scholar receiving the Diversity Excellence award in 2017 for advancement of diversity efforts on the campus. Her research scholarship also earned her the honor of being named Chancellor Community Scholar. Her curriculum knowledge and leadership skills earned her the position of Program Director of the Bachelor of Social Work Program on the IUPUI campus. In short, Gentle-Genitty is a versatile faculty with outstanding knowledge and skills having won local and national awards for engagement with students and academic advising and mentoring coupled with awards for teaching excellence, Gentle-Genitty finds herself suited for her new role. She has extensive knowledge engaged in policy, practice, and procedures with service leadership on IUPUI's numerous curricular, policy, and leadership committees in Academic Affairs, Undergraduate Affairs, Transfer Excellence, and more. Gentle-Genitty's AVP for University Academic Policy responsibilities include managing IU's university-wide credit transfer system, convening the IU Articulation and Transfer Committee, tracking transfer issues through the Statewide Transfer and Articulation Committee and the Indiana Commission for Higher Education, and identifying and convening faculty colleagues on intercampus curricular issues. Gentle-Genitty brings over 20+ years in crafting collaborative efforts to advance assessment in youth antisocial behavior (truancy and gangs), social bonding assessment, teaching, model and curriculum development, and theory. As an international speaker, published book and journal author, and app developer, her work can be found in peer reviewed journals, online in invited blogs, LinkedIn, magazines, newspapers, books, and in the app store (“101 Theory”; “Guide to Social Work”). 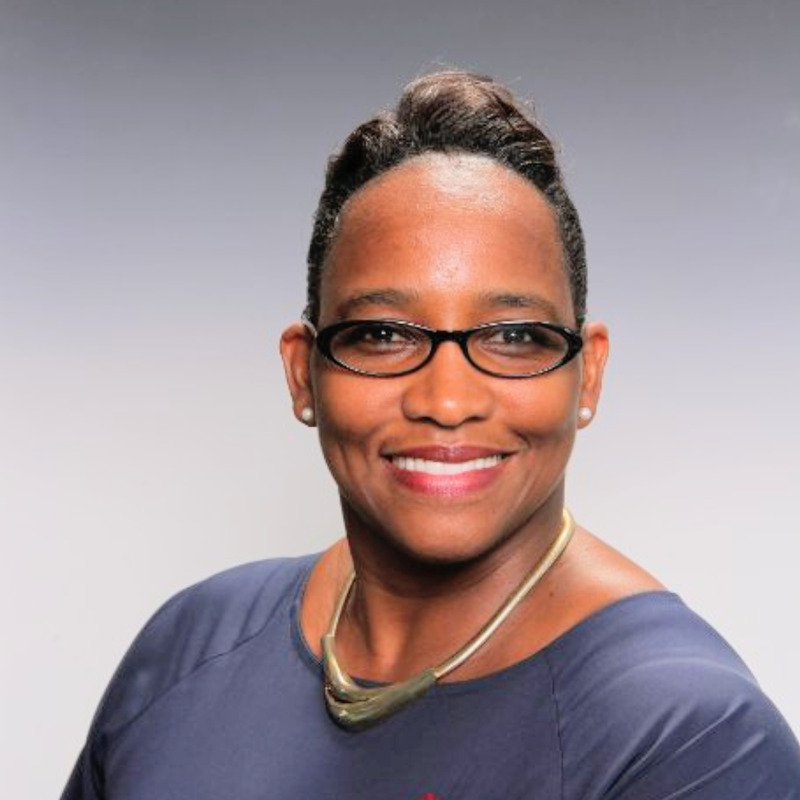 Dr. Carolyn Gentle-Genitty, an associate professor at Indiana University in the School of Social Work, is a well-known social bonding and truancy expert who sits on the Executive Board of the International Association of Truancy and Dropout Prevention (IATDP) as president. Her instrument for assessing social bonding in schools, tested statewide and accepted by the American Psychological Association Tests, has been included in Caribbean assessments conducted by Caricom. Her leadership and innovation is highly sought after to respond to challenges facing youth by numerous international organizations like IATDP, UNICEF, and CARICOM. With CARICOM, she completed a five country Caribbean assessment on the reduction of youth on youth violence in schools and communities supported by Spain. For IATDP, invited to spearhead the re-definition of truancy she conducted and published this work internationally in a peer-reviewed journal. She received a Ph.D. from Indiana University and bachelor's and master's degrees from Spalding University in Louisville, Kentucky. Gentle-Genitty, originally from Belize, lives in Indianapolis. In Belize she served as the executive director of the local YMCA, aided in running an alternative boys school, sat on numerous boards and task forces ranging from Department of Youth Consultant, Board of Governors Princess Royal Youth Hostel, Task Force on Youth Enterprise Fund, Department of Corrections & Youth Chair Task Force on Aftercare Support, Advisory Committee on I-TVET (Institute-and Ministry of Youth & Tourism: Consultant in drafting the National Youth Council Bill, to the Belize National Youth Commission Member, and Vice President of the United Nations of Belize (UNA-Belize) She taught at both the university of West Indies and University of Belize prior to coming to IU. She bring extensive collaborative experiences from work with local and international bodies including Organization of American States (OAS), Unicef, Caricom (Caribbean Community), Inter-American Development (IDB), YMCAs internationally particularly Canada Fredericktown and St. Louis), and has a passion for student success through collaboration and partnerships. As fun facts she holds a honorary Chief of Police status from Louisville KY and was a radio talk show personality in Belize.